CBHUK relies on the goodwill of its volunteers without whom we really couldn’t deliver the community outreach work we do. It also has a strong senior management team who pushes forward with innovative ideas to bring the latest information and services to the public. 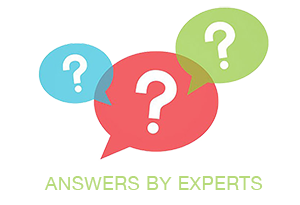 Here is a chance to see who’s who at CBHUK. 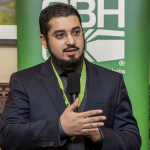 Rashid Mogradia is the founder and CEO of the Council of British Hajjis (CBHUK). He has been recognised as a ‘Trailblazer’ in the 2018 Muslim Power 100 List. 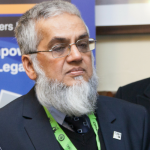 For over the past decade and more he has worked hard to ensure those embarking on the pilgrimage to Makkah are fully acquainted with the knowledge on how to perform the rituals and are also aware of the recent health and safety advice. He regularly features in the national and international press and is consulted on matters of Hajj & Umrah by governments and national bodies across the globe. He pioneered the introduction of community-based travel advice and vaccination clinics and worked with vaccine suppliers to ensure supply of travel vaccines is both affordable and accessible for pilgrims. A forward thinker always innovating in ways in which he can benefit others. Akbur is an award winning Leader working for Google. Having led complex global initiatives, he brings to CBHUK some 15 years of experience in leading Professional Services, Engineering and Education at top tier organisations. 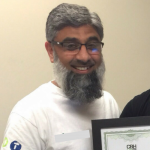 Currently based in the United Arab Emirates, he maintains a strong connection to the British Hajj operations and is focussed on providing Hajji’s with world class and free education and training before they go on that life-changing journey of a lifetime. Akbur first went on The Hajj in 2008, being the lead anchor for the UK’s Islam Channel TV network. Through his Hajj experiences, Akbur has continued to contribute to the Hajj ecosystem by preparing high quality material, working with respected scholars on lecturing and educating Hujjaj on best practices. His vision is to continue the call of Ibrahim (AS) far and wide and to ensure that those that embark on the journey are as prepared as possible. Yasin is one of the pillars of CBHUK. He is the secretary and plays a critical role in finance and strategic partnerships. Mohammed is one of the pillars of CBHUK. 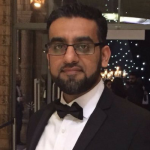 He is the treasurer and like Yasin plays a critical role in the direction of the charity. 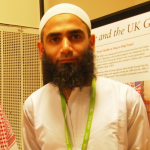 Dr Haseeb Valli was an attendee at a Hajj Seminar in 2012 and helped out with vaccinating pilgrims. Since then he has led a team of doctors at CBHUK and manages the clinics in London and surrounding areas. 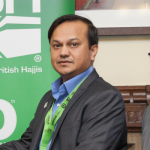 Shamim started off as a volunteer in 2013 and has worked his way to the role of CMO. He shares the passion for serving the guests of the Almighty and manages national social media marketing campaigns and the CBHUK website. 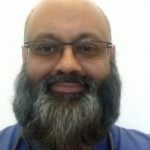 Mr Zia is a practicing Emergency Medicine Consultant and has travelled accompanying pilgrims as a medical advisor and tour group doctor to the Hajj for the last 11 years. Over this time he has gained a valuable insight into the common medical themes which affect pilgrims and how they are addressed in a practical manner, at times where medical help may not easily available. He is a guest writer for CBHUK in matters pertaining to health at Hajj. 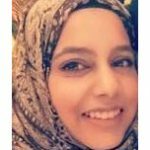 Dr Raeesa Nurani is a GP trainee in Southwest London. She has worked with CBHUK for several years in the Hajj clinics as well as a guest speaker on Islam Channel representing CBHUK activities. 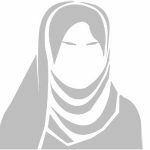 She has a specialist interest women’s health and wellbeing and as such has been involved in several projects representing Muslim women. In her spare time she’s keen to travel and is avid reader who organises a local book club. Halima is a student of English literature and Creative Writing at Open University. She graduated as an Alimah from Madani Girls School, London and is currently teaching Religious Studies and Alimiyah subjects. She has a passion for writing and currently pursuing a career path in this field. Halima enjoys reading and writing during her free time; she believes writing to be more than just putting words on a paper, the act of writing is to share your knowledge with the audience.